When it comes to car accidents in Philadelphia, no two ever are alike. With a one in 43 chance of being involved in an accident in Pennsylvania, you need to have a plan in place in case you are among those who suffer a serious injury or worse in a car accident. The causes of vehicle accidents vary, and so do Pennsylvania’s laws on how to assign fault and liability. The varying state laws and their impact on car insurers and how they handle liability claims for property damage and personal injuries is enough to require the help of a Philadelphia car accident lawyer. A car accident lawyer will know how the state’s liability laws work and will build a case in your favor. A car accident attorney needs to have experience dealing with car insurance companies, to know Pennsylvania’s laws governing liability, and has experience in litigating cases seeking damages for pain and suffering, and even punitive damages in exceptional cases. A Philadelphia car accident lawyer will know how to handle your case. Pennsylvanians have about a one in 43 chance of being involved in a car accident, whether as a driver or passenger. Human negligence and error accounts for most car crash injuries in the state, which has seen a decline in roadway accidents. Yet, Pennsylvania car insurance laws dictate different ways of handling car accident claims with insurers and in potential lawsuits. Whether you are a victim or at-fault in a car accident, a Philadelphia car accident lawyer will know how to handle your case. 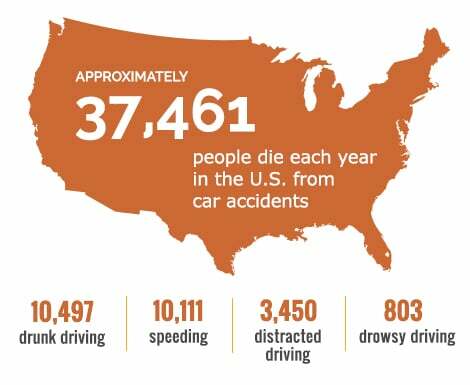 Pennsylvanians have about a one in 43 chance of being involved in a car accident, whether as a driver or passenger. In 2016, Pennsylvania State Police and 1,300 local police departments reported 129,395 traffic accidents on the more than 120,000 miles of paved roadways crisscrossing the state. Those accidents claimed 1,188 lives, and injured 82,971, among the 100.9 billion vehicle miles traveled that year. That is a fatality rate of 1.18 deaths per 100 million miles of travel, which is the state’s second-lowest since it began compiling records in 1935, and its lowest in 86 years, the Pennsylvania Dept. of Transportation (PennDOT) reports. On average, there were 355 reportable traffic accidents causing three deaths and injuries to 227 people every day in Pennsylvania in 2016. That equals about 15 accidents every hour, and one fatality every seven hours. Of Pennsylvania’s 12.78 million residents, one of every 43 was involved in a reportable traffic accident. One of every 10,761 residents died due to injuries sustained on one of those accidents, while one of every 154 suffered injuries. You need to know what to look for so that you can hire the best representation for your case. Because of their experience, car accident attorneys in Philadelphia will not cause you to pay out any of your own money. If you were in an injury accident, odds are, you have medical bills making it too difficult to pay for an attorney. An attorney already knows you have medical bills and other costs from the accident. The attorney needs to discuss your case, examine your evidence and give you an honest opinion on where you stand on legal grounds. If the other driver clearly is at fault and has state-mandated auto insurance, an attorney already knows an insurer will pay out on a well-prepared case. If the other driver has little or no insurance or possibly fled the scene in a hit-and-run accident, uninsured and underinsured motorists coverage from your policy should help pay costs, including for pain and suffering. The best attorney will advise you on the best legal strategy and give you a fair assessment of the likely legal outcome. The best strategy for you might include filing a lawsuit to recoup all of your losses. Even in such a case, your attorney should not require you to pay any of your own money. That is because the case should be strong enough to proceed on its own. Likewise, the attorney should be confident in securing a fair judgment or settlement to pay your medical bills, property damage and any other costs, such as lost wages while convalescing. This confidence should enable your attorney to represent you with no fee if, somehow, the case is lost and not judgment or settlement occurs in your favor. They only should get paid upon the successful conclusion of your case, and for a predetermined percentage of the settlement or judgment. The best car accident lawyer in Philadelphia is one who knows how to ensure the maximum payouts from auto insurers and protects you against unsavory insurer tactics. Some of those tactics include an adjuster for the other driver’s insurance company calling you right away – often within a couple days of the accident. The adjuster will contact you by phone and act very friendly. An adjuster is a professional claims investigator that insurers employ to ensure they pay as little as necessary on an insurance claim. The friendliness and concern are just part of an act designed to put you at ease, catch you off guard and get you to make statements that hurt your case. In many ways, that insurance adjuster is your worst enemy, because they have one goal in mind. That is to weaken your case so that the insurer pays less. The friendly act will include concerns for your health and general condition and seemingly understanding your view. It might even include appearing to agree you are the victim, but do not fall for it. The more you talk, the more they adjuster will use what you say to weaken your claim in any way possible. Because you only just suffered your injuries, the adjuster might get you to say you downplay the extent of your injuries and related pain and suffering. You also might not have had a full medical assessment, and could miss potential injuries or their extent. The idea is to get a hold of you before you seek legal representation, especially if the other driver was ticketed by the police and clearly at fault. A car accident lawyer will tell you to refer any phone calls to them, and say nothing. Your attorney will handle any contact and correspondence with the other driver’s insurance company. That gives you an experienced legal mind that is fighting on your behalf and representing your best interests. Pennsylvania’s comparative negligence law can impact your settlement by limiting the total amount of damages you may claim. Many people are not honest. Even the most honest people likely have told lies at some time, particularly when motivated. Few things will promote dishonesty more than a car accident, particularly if one driver clearly is at fault. Pennsylvania’s comparative negligence law can impact your potential settlement in a car accident case by limiting the total amount of damages you might claim. If you are found to be at least partially at fault, your potential settlement will be lower than if the other driver was found to be the sole cause of an accident. An experienced, skilled attorney will help you to understand comparative negligence and whether or not it applies in your particular case. Fortunately, most car accident claims are settled out of court. 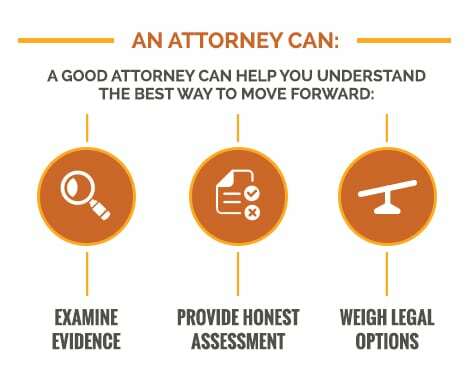 That makes it easier for your attorney to provide exceptional representation, without charging you up-front to offset costs. They know a well-prepared case handled by a skilled and experienced attorney will give you the highest potential payout, without collecting any money until after the matter is concluded in your favor. Of these, 59,856 were injury crashes and 1,088 were fatal. Another 215,909 drivers and passengers escaped their crashes with no injuries. Those accidents inflicted about $17.67 billion in costs. The 1,188 fatalities cost an average $6.69 million per death, while 4,397 suspected serious injuries cost an average $1.49 million per injury. Another 26,284 suspected minor injuries cost an average $99,235, with another 23,050 potential injuries costing an average $7,755. Some 68,447 crashes resulted in property damage only, which cost an average $3,102. Fatalities accounted for $7.94 billion in total costs, suspected serious injuries $6.5 billion, and suspected minor injuries $2.61 billion. Possible injuries accounted for another $178.75 million, and injuries of unknown severity $226.76 million. Accidents that resulted in only property damage cost another $212.32 million in 2016, PennDOT reported. How does Pennsylvania measure up? The roadway death rates in Pennsylvania compare favorably to the national fatality rates provided by the National Highway Traffic Safety Administration (NHTSA). Recovering from a devastating car accident can be an overwhelming task without legal representation on your side. The personal injury attorneys at MyPhillyLawyer are experienced at dealing with car insurers and legal trials in Philadelphia. We take pride in helping you get the best representation with no fee paid until we win your car accident case. 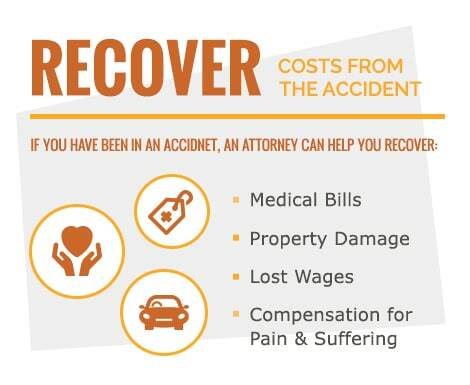 You are more likely to recover damages for all of your losses if you are represented by a car accident lawyer. If you were injured in a car accident, call MyPhillyLawyer at (215) 227-2727.